Now that Chaos Space Marines have got their own Codex, the Index for Chaos is getting an update. Secondly, if you’re a Thousand Sons player, you may have noticed that the Dark Hereticus discipline in the new codex is larger than the one in the Index. 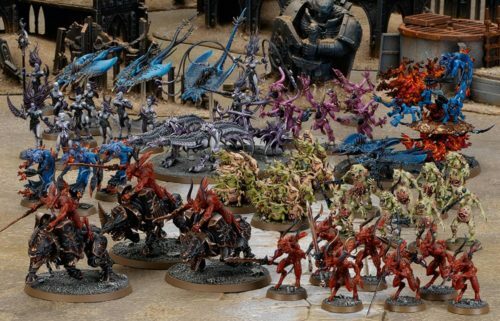 Don’t worry – the discipline isn’t being replaced and you won’t need to get Codex: Chaos Space Marines to keep using it. Similarly, if you have Codex: Chaos Space Marines, you’re welcome to use the expanded Dark Hereticus powers with your Thousand Sons Psykers. If you’re a Daemons player, this change also applies to Be’lakor. You can find the full writeup below. So be sure and update your list of errata and datasheets for those units affected. Fortunately, thanks to the digital nature of the game rules, keeping these updates current is easier than ever. Stay tuned for more Chaos updates–likely we’ll see another wave with the release of Deathguard.